One of the greatest challenges in human resources is staffing. In international development, recruiting and retaining skilled local staff is particularly complicated. International donors like the World Bank and U.S. Agency for International Development expect their implementing partners to have strong in-country ties — and locally hired senior staff — as they funnel increasing amounts of aid through local institutions. The importance of sourcing and managing local staff, therefore, will become increasingly crucial to the success of nongovernmental organizations and consultancies working in development cooperation, industry experts and recruiters tell Devex. Strategies differ markedly within the aid community on the size of local staff and how to recruit for it. The United Nations Development Program, for instance, has approximately 8,000 employees, split roughly in half between national and international hires. The program employs an additional 32,000 service contractors and consultants, most of whom work in countries they were not born in. Another U.N. institution, the International Organization for Migration, meanwhile, has hired only 800 of its 8,500 employees internationally. Implementers have been beefing up their field operations as well. Catholic Relief Services, for instance, now employs roughly 4,500 nationally and 900 international and U.S.-based workers, four out of 10 of whom are third-country nationals. Another major international NGO, Save the Children, employs roughly 4,091 locals and 73 expats in country, plus 633 in the United States. In many organizations, the recruitment of national staff is done on the ground and delegated to local offices – and thus a great inconsistency often occurs in terms of the job classification, rigor of the recruitment process, and remuneration. Candidates are being sourced in a variety of ways — though newspaper ads, the Internet, in-country networks and local recruitment agencies and of course the Devex Jobs board, for instance. How best to do it depends on the location, Internet connectivity, and how locals view the presence of a particular organization or foreign groups overall. In some countries like Kenya and Ethiopia, tapping local talent has become relatively simple because the aid community has been working on the ground for a while, and there is a relatively good-sized talent pool to recruit from. Other countries, especially those with higher rates of illiteracy and histories of political unrest that have lately seen an explosion of aid activity, are harder to recruit for. Recruiters we spoke with singled out Afghanistan and Pakistan in that respect. Competition for qualified local nationals tends to be fierce; bilateral donors and their implementing partners often struggle because they pay less than the private sector and U.N. institutions. Before starting the hiring process, employers should determine when and why they’d like to use local staff. Although compensation for local staffers tends to be lower than for their international counterparts, hiring the wrong person can cost dearly and affect work culture and program delivery, says Michael Emery, IOM’s director of human resources and former UNDP recruitment chief. When hiring is decentralized, inconsistencies emerge in contracting, remuneration, the classification of posts, rigidity of the screening process and interview practices. 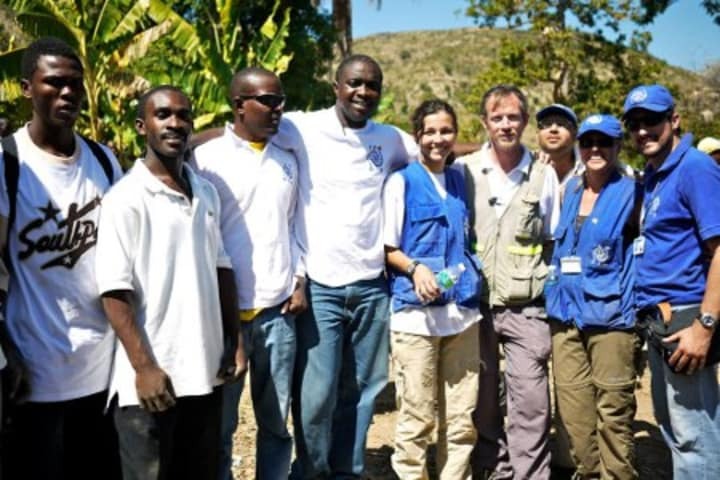 CRS is among the many aid groups that depend on their field offices to spearhead the hiring of national staff. And like others, it has become increasingly aware of inconsistent local hiring practices, Judson Flanagan, CRS’s director of human resources, says. CRS has launched a multiyear project to craft a global set of minimum standards, recommended standards and best practices for its hiring. Its field offices, meanwhile, have been looking at ways to streamline hiring practices regionally. At CRS and elsewhere, officers at headquarters and in the field are collaborating on staffing. The trick is to have headquarters coordinate, not make the decisions. Diversity means more than having locals work with internationals — it’s in how you mix people of different genders, ethnicities and backgrounds. Ensuring that an office’s staff reflects the region’s diversity can be tough. Recruiters in international development have many tales to tell — of field offices that didn’t employ any member of the indigenous group they served, for instance, conflicts arising in the office between ethnic groups, or headquarters taking over to ensure a diverse workforce that works together well. For home office staff, traveling to the field is often crucial to understanding in-country cultural differences. That’s what Valerie Barksdale, a recruitment specialist with CRS, realized when visiting Rwanda a few years ago. In country, minorities, women, people with disabilities and indigenous peoples are sometimes dismissed as lacking the qualifications of more elite classes. Enshrining the principle of diversity in an organization’s hiring framework is only the first step. The process of putting together a truly diverse team is tough and can be the source of great discontent. To keep employees engaged and creative, it’s important to provide meaningful skills and career development opportunities. For local hires, that can be tough when promotions are infrequent. That said, aid groups have been coming up with ways to make national staff “feel” part of the family, by putting them in positions of authority and offering career counseling, international exchanges, training and participation in conferences and other events. “Most local hires like working with us because we provide training opportunities and give them a great deal of authority and responsibility,” one USAID official tells us, echoing other aid officials. Local staff members may get disaffected if opportunities to develop skills aren’t properly advertised in country, if there’s no help with visas for travel abroad, or if their desire for upward mobility is nipped in the bud. For management, then, it is crucial to balance the need to build (and retain!) local capacity with the desire to offer high performers a chance to join the international workforce. For recruiters, it pays to be constantly on the lookout for talented potential recruits — often at the referral of current staff members. Managing the performance of local staff can be another major challenge — for many reasons, cultural and otherwise. Jobs with an aid agency often are among the most sought-after ones in-country, recruiters tell Devex; as a result, they say, local staff can become overly comfortable and resistant to change. It has driven some organizations to close field offices so they can rehire a different staff rather than deal with endemic performance issues. To avoid such a drastic step, HR and management should consider engaging regularly with local staff and focus expectations on the accumulation of skills rather than the next promotion. A lack of cohesion between local and international staff can jeopardize project success. Local staffers often represent an element of continuity in field offices, while international representatives come and go, says Emery, IOM’s HR chief. So if a new international staff member comes in to “shake the place up,” he or she is often viewed “with some cynicism from local staff” as just another international coming in to make changes. That’s when the country chief can step in. This is not easy, considering the inconsistency with salary and benefits between local and international staff, which can create interoffice tensions as local hires are not always aware of the entire picture of pay differentials and the things international staff endure such as frequent moves, long separation from family, and the need to maintain two households on occasion. It can get even more complicated in cases where questions about compensation arise after a local staff member becomes internationalized and is tasked with supervising local colleagues who make considerably less. One way to show inclusion and promote sharing among staff of all levels is to arrange regular meetings, including staff retreats to discuss the past year and upcoming priorities. Hiring officers and program managers face a variety of challenges that affect the success of their field operations — and there are few simple, across-the-board solutions. The management of human resources, and in particular of local staff, ranks among the most important — and complicated — of such challenges. Other issues are becoming more pronounced: the hiring of third-country nationals in places like Iraq, Pakistan and Afghanistan, for instance; the question of whether national officers can be hired in regional offices; and how to promote national staff into positions of authority without creating international positions for them. Read more international development career advice. What are the biggest challenges — and solutions — you’ve encountered when sourcing and managing local staff? Let us know by leaving a comment below! Nina Segal occasionally blogs on career matters for both job seekers and HR employees for Devex. She works as an international career consultant with a broad range of nonprofit and international organizations, including UNICEF, UNFPA, the U.N. Secretariat, IFAD, FAO, Realizing Rights and the Ford Foundation, as well as individuals in the NGO community. Nina has a particular interest in building networks and improving access to career opportunities for underrepresented groups.